The wife and I went to check out Foresta @Mount Faber last week. 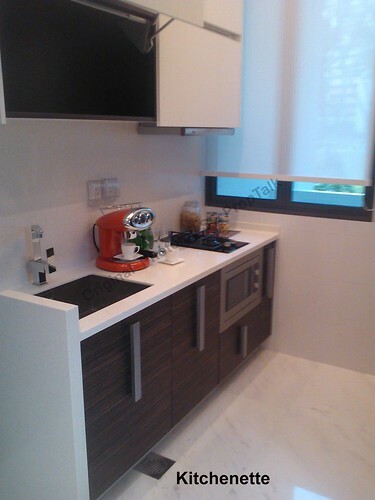 This is the latest freehold project by Hoi Hup Realty located at the foot of Mount Faber. 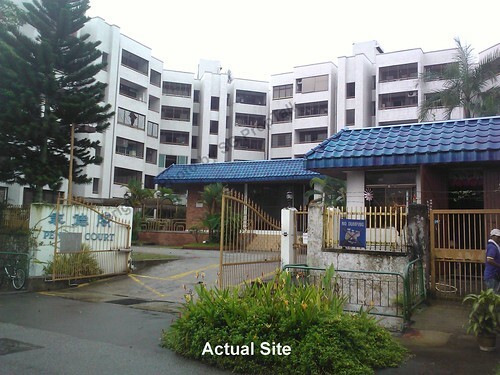 As some of you may recall, Hoi Hup bough the site (where Pender Court is currently located) for $95 million in June 2010. The land price worked out to around $1,007psf ppr. 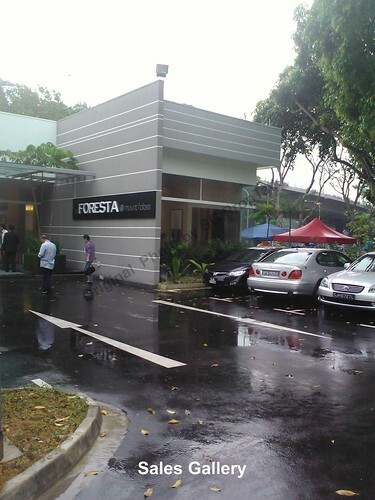 The Foresta's sales gallery is located off-site (since Pender Court is currently occupied) on an open ground at the end of Wishart Road. 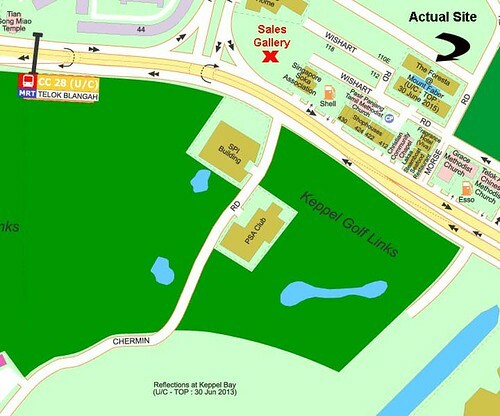 One actually will pass by the actual site (Pender Court) before arriving at the sales gallery. The Foresta consists of 4 blocks, each of 5-Storey high. Preview for this project officially started last Wednesday and to date, 50% of the 141 units are already sold. All ground-floor units come with 4.2m high ceiling, while the ceiling height of 2nd – 5th floor apartments are 3.2m. 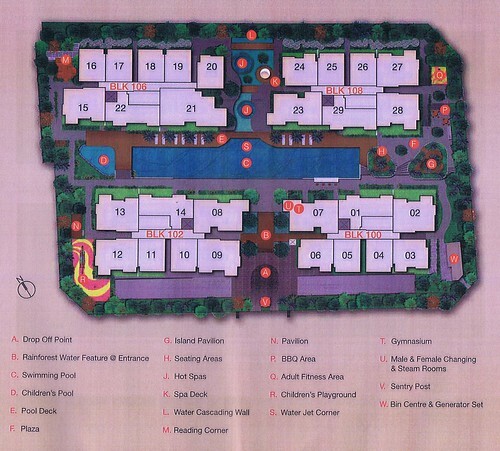 Foresta is marketed as a full-facility condominium project, MINUS the tennis court. But given the small site area, the facility offerings are rather basic for supposedly a “high-end” project. There are only sufficient parking lots in the basement for 1 car per household, unless one wishes to be demonised for parking your second car in the 3 handicapped lots. For the first part of our review on Foresta, we shall concentrate on the Type A1G unit. For those of you who are not interested in ground-floor units, you be pleased to know that the typical Type A units (i.e. 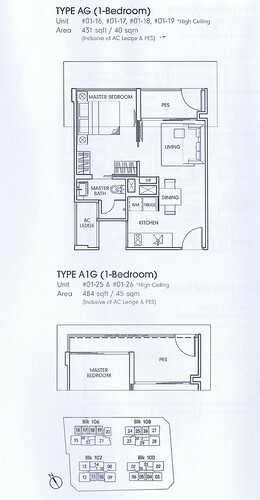 2nd – 4th floor, balcony instead of PES) is 431sqft and have the exact same interior layout as Type A1G. The developer is also very generous on kitchen appliances. You get “Teka” hob/hood, fridge, oven and washing machine. The integrated oven, fridge and washing machine keep the kitchenette area clutter-free and frees up much needed “manoeuvring” space. We also love the 90cm x 90cm large marble-slab floors in the kitchen & living/dining areas. The living/dining room is TINY and has barely enough space for a two-seater dining table and a small sofa (see photo). The wife and I actually felt a little claustrophobic with just the 3 of us (i.e. ourselves and the sales agent) standing inside the living room. The master bedroom is surprising spacious compared to the living/dining room. It comes with large timber-strip floors and very appealing set of "His" and "Hers" wardrobes. 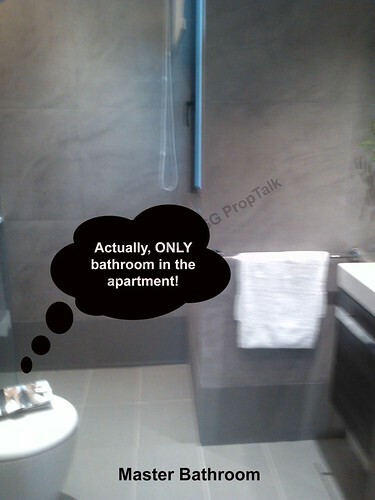 There is only one bathroom in the whole unit and this is located inside the master bedroom. The bathroom is decent-sized and comes with branded "Keramag" toilet and "Grohe" bathroom fittings. But given the size of the unit, you only get a standing shower stall (no bath tub). The wife and I were somewhat disappointed with the developer for not "marbling up" the bathroom, especially given the kind of money that one is expected to pay. Price-wise, a 431sqft, 1-bedroom unit on the 4th floor (#04-04, facing Wishart Road) will cost you $859,900 after discount. This translates to $1,995psf!. 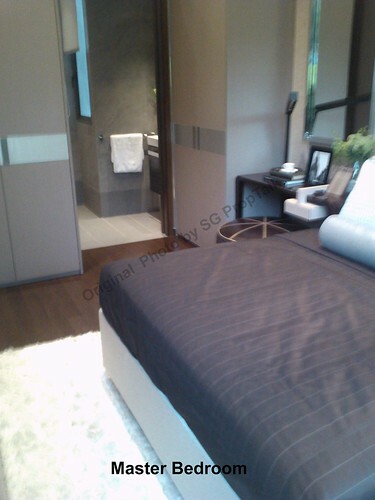 We will continue our review on the 2-bedroom unit (Type C2) and our likes/dislikes of Foresta in our next post. 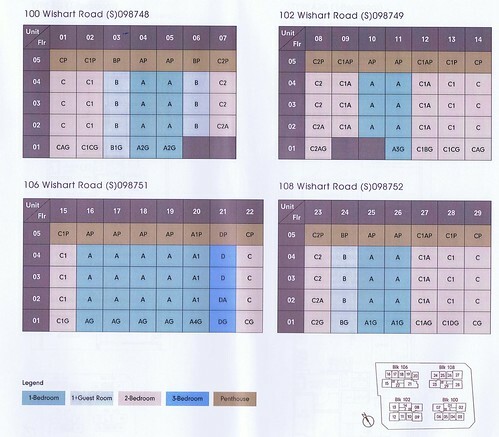 3 comments to ''Foresta @Mount Faber: Review (Part 1)"
Do you know how many units have been sold now? Any price difference from VVIP preview? 1. Sorry, the review for Foresta is just a 2-parter. 2. We do not have the latest sales figure. However, we did receive a text message from the marketing agent that prices may be revised upwards for the remaining units. By how much exasctly, we do not know.